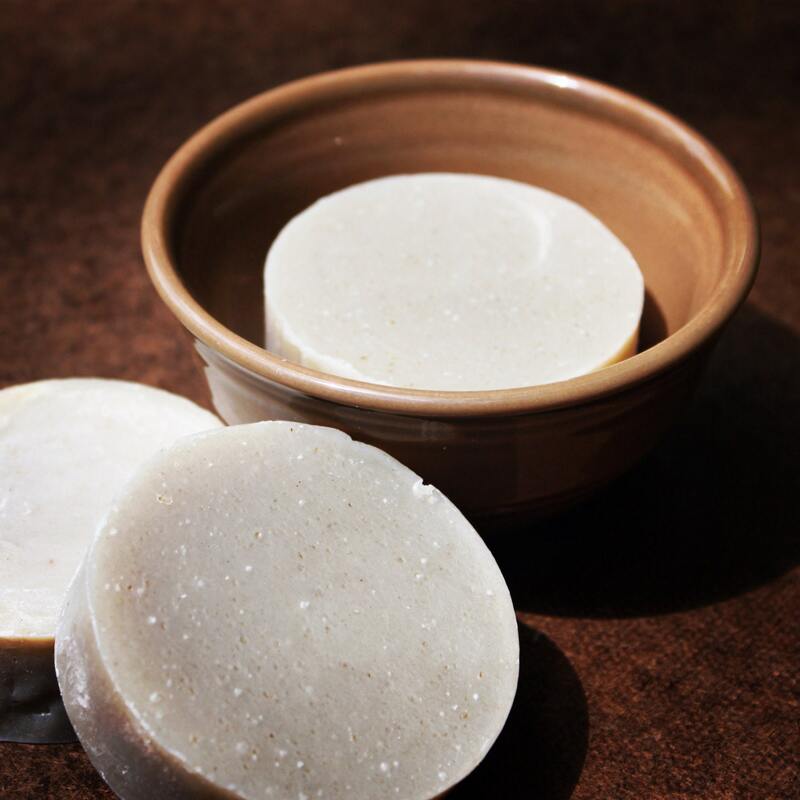 Shave soap is a wonderfully old tradition whether used in a mug, bowl or just in your hand. 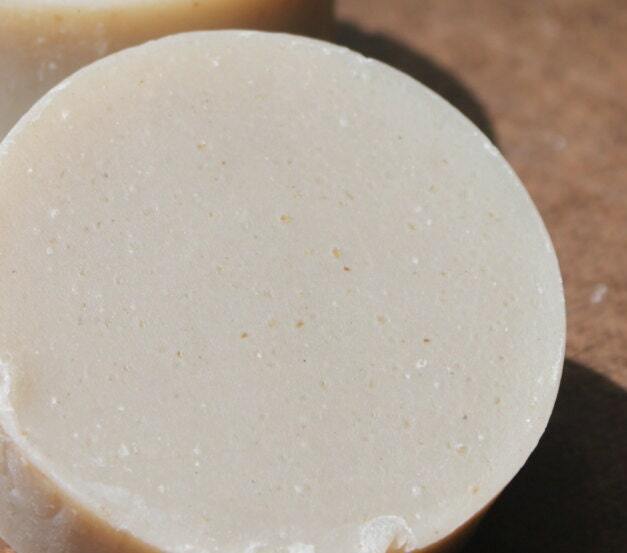 Our shave soap is made with bentonite clay to give the soap a slip over the skin when shaving. 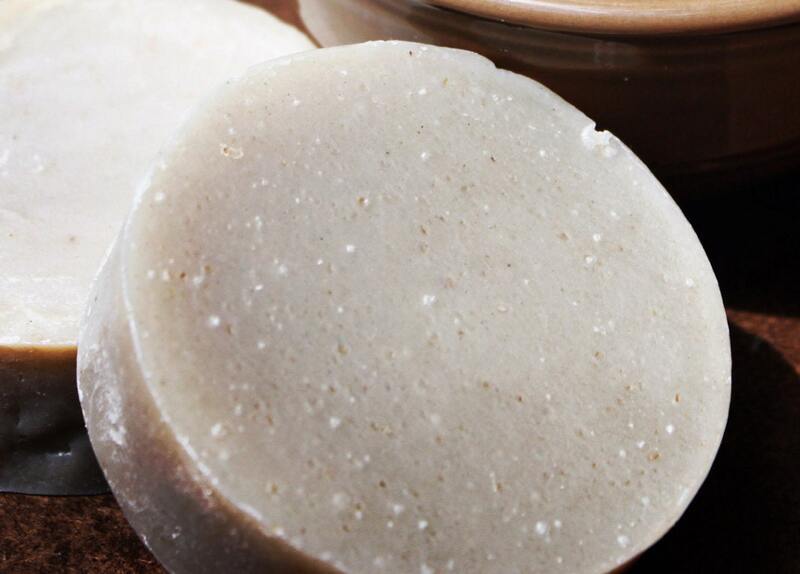 And also contains oatmeal known to have several benefits to the skin including moisturizing and exfoliation. 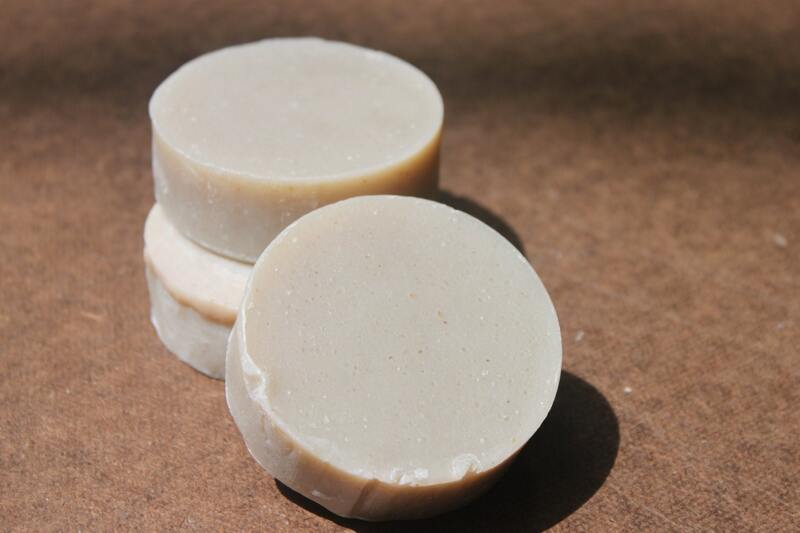 The color in the is soap is natural and comes from the clay which turns the soap a classic stone type hue. It is scented with a cologne fragrance that attracts both men and women, my 20 year old daughter enjoys it as much as my husband. Our soaps are created with the cold process method of soap crafting in small batches with care and attention to detail. These bars are 3" round bars and weigh approximately 2.5 oz. Perfect for the palm of your hand fit it in a small bowl or mug. Handmade soaps are special and to get the most from them they should be treated specially. Never leave your soap in standing water, when in the bath always put it on a ledge out of the water. 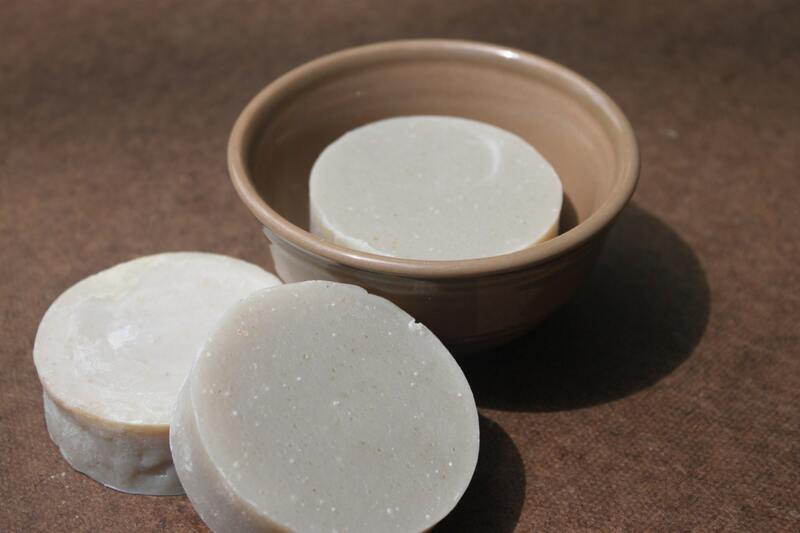 When finished with your soap keep it on a draining soap dish or stand the soap on its end, this will increase the life of your soap so you can enjoy them longer.